With your generous support this Giving Zooday, Reid Park Zoo will continue to transform into one of the best in the nation - and even more of a national leader in animal care and conservation. Whether an annual gift, support of a capital campaign, or remembering a loved one, each gift helps make your Zoo better. We could not do this without your help. Thank you! 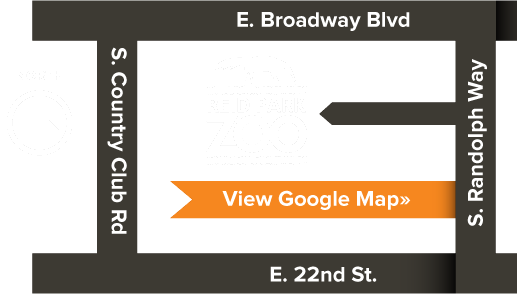 Donations of $500 or more qualify for the FriendZ of Reid Park Zoo Giving Circles. Please enter the "Finder Number" located at the bottom of the mailing/card. Don't have the letter/card that's okay! Enter the name of the person, persons or organization in whose name this donation should appear. Please briefly describe the nature of your tribute or memorial donation. Please briefly describe the nature of your donation.